The orientation area introduces you to geological and evolutionary events you will encounter in this gallery. 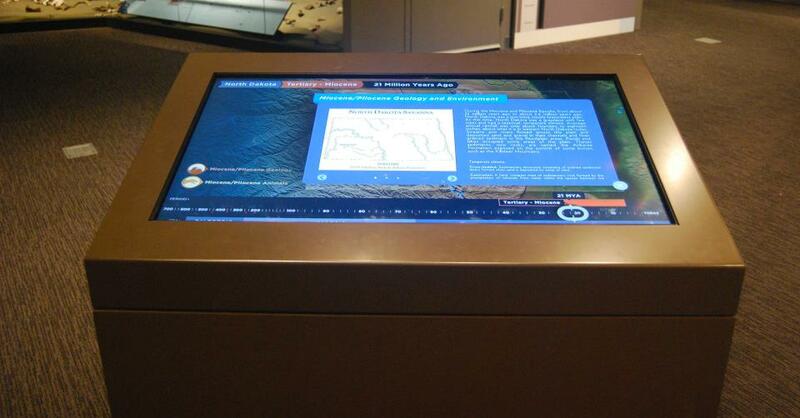 Explore the timeline on the touch table to learn how geology, environment, climate, and life have changed in North Dakota from 600 million years ago to today. Watch a video showing how the Earth is continually changing as continents continue to move. Discover the different rock formations found at the surface and thousands of feet below. View rock samples from several formations, including oil-bearing rocks such as the Bakken Formation.